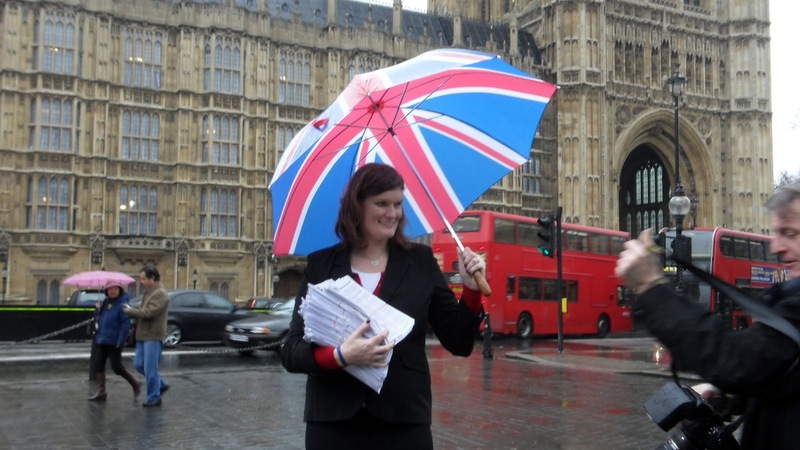 #0280* – 10-Feb-2011 – Nikki SINCLAIRE MEP’s PETITION – hits Westminster! 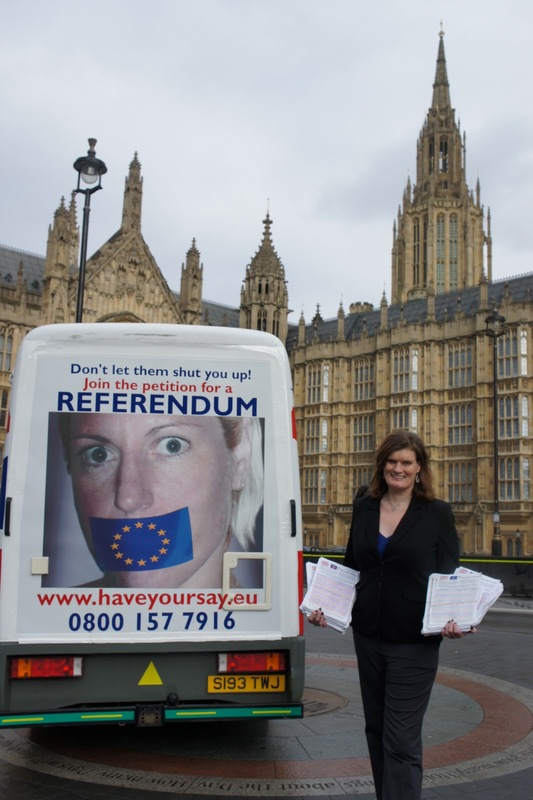 10-Feb-2011 – Nikki SINCLAIRE MEP‘s PETITION for A REFERENDUM – hits Westminster. 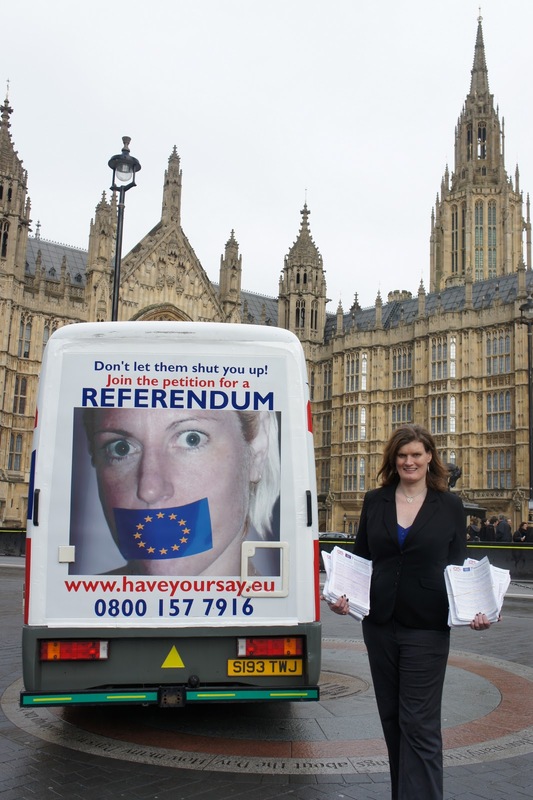 Backed by her team with The Battle Bus & another vehicle – both sign written to promote The Petition! 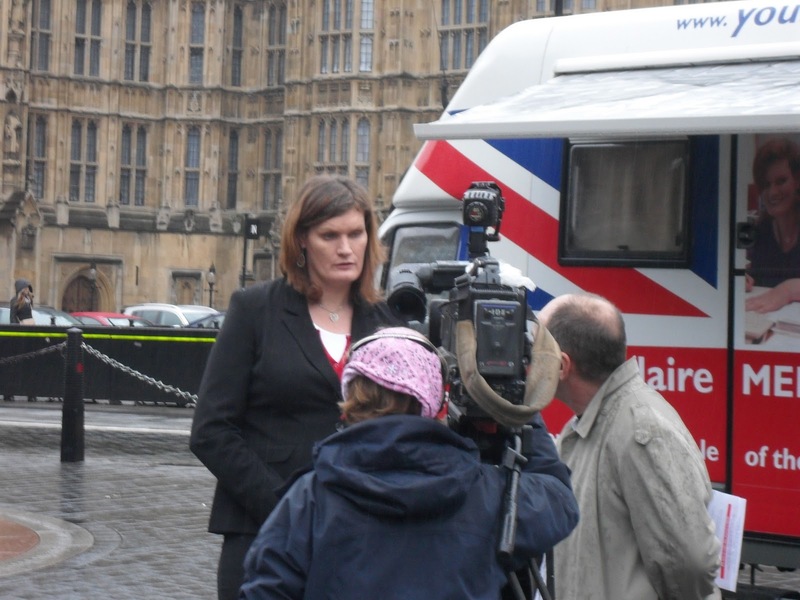 West Midlands’ MEP, Nikki Sinclaire, is bringing her ‘Have Your Say’ Battle Bus to the Houses of Parliament on 10th and 11th February. 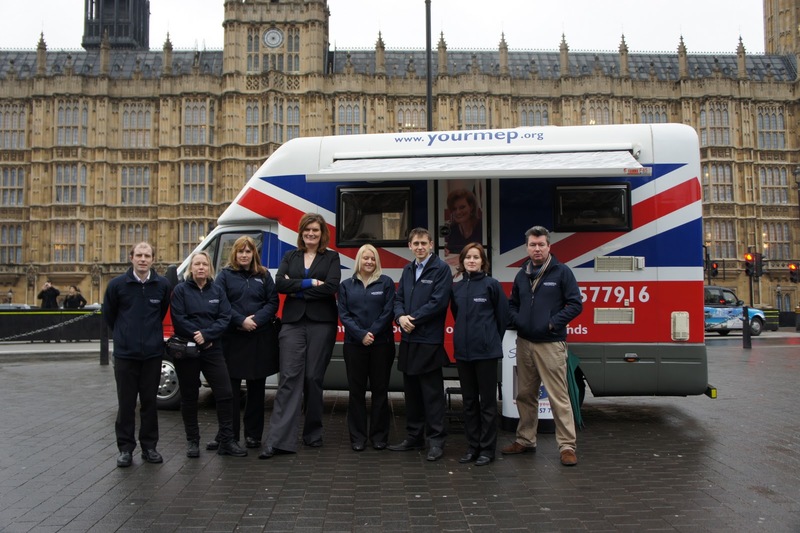 Since September of last year, the Battle Bus has visited over 30 towns and cities across the country. 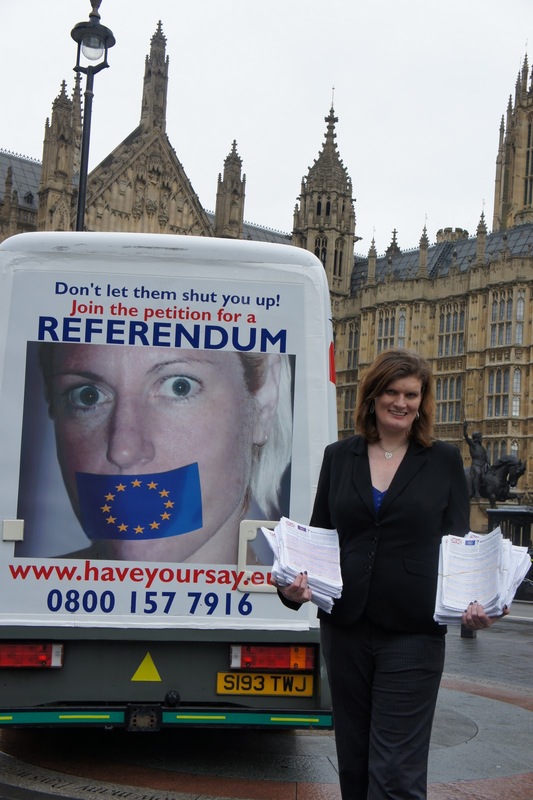 Ms Sinclaire’s aim is to get 100K signatures for her Petition for a EU referendum . She wants to give British people the chance to say ‘yes’ or ‘no’ to being part of the European Union. Anyone under the age of 54 has never had the chance to vote on this issue which Nikki Sinclaire believes is wrong. The last time the UK held a referendum on the Common Market, at it was then known, was in 1975 – and even this was retrospective and based on lies admitted years later. 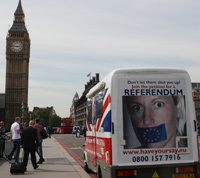 The aim of bringing the Battle Bus to Westminster is to get MPs from all parties to sign The Petition and encourage them to get their constituents to back The Referendum too. It will be a great time to highlight The EU control over Britain as MPs will be voting on The EU aspect of Human Rights that will force Britain to permit Criminals in Prison to Vote in elections! Which according to all the polls is against the wishes of The Peoples of Britain. Despite the fact that, if successful, the campaign outcome could put her out of a job, Nikki thinks people have the right to decide. “This is an issue that must be resolved for over 20 years the debate has raged. In that time opinion polls have shown that more and more people are opposed to Britain’s membership of the EU. We desperately need a national debate on the pros and cons of our membership of the European Union. At the moment we have one foot in and one foot out. This is detrimental to Britain’s interests. I call on a binding referendum and the courage of our political leaders to abide by it. from 9am to 5pm each day. I gather already Sinclaire has the support of several MPs from both Parties at Westminster and has a photo session sheduled with a House photographer of a major National paper, another booking with a freelance media photographer and a lunch session booked with the political editor of a National Mainstrean respected Sunday Paper. I have just heard there is also a TV documentary slot AND The Petition has been provided with a fully functioning office with communications and computers in Parliament somewhere! More good news I hear UKIP’s other remaining MEP Mike Nattrass, who has also quit as part of Farage’s vile EFD Group due to its racism, xenophobia, sexual intollerance and criminal associations, he will be going to help Nikki Sinclaire and her 8 staff members on both days in London. 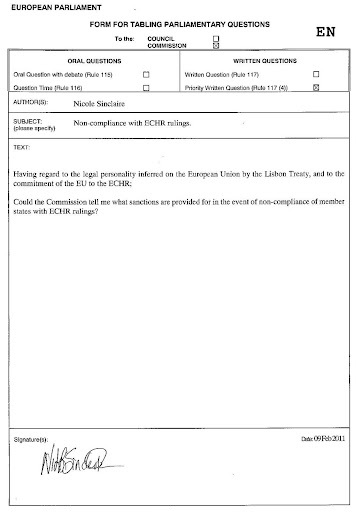 I wonder how long it will be before EFD Group MEPs opt to denigrate what is being done by Sinclaire & Nattrass also by the good work in The EU Referendum Campaign with their pledge – to ingratiate themselves with The Judas Goat? We know that Bannerman & Andreasen have both tried to cosy up to The Tories in the past and William Legge / Dartmouth was a Tory and would feel more at home there even if he would be as unwelcome as Andreasen & Bannerman who were both rejected when they last made overtures – but might Farage be willing to join with The Judas Goat led by the nose as clearly his errand boy Godfrey would help fund his life style and of course The NFU would rather their MEP Stuart Agnew was in place with the Tories rather than on the fiddle with the sordid EFD Group. The Chinese curse of ‘May you live in interesting times’ may prove more curse than cure in the light of potential ‘Spanish Practices’ from the fraud from Barcelona! It is never easy to look ones best in near constant rain! who overwhemingly voted against prisioners getting the vote. UKIP MEPs Nikki SINCLAIRE MEP with Mike NATTRASS MEP WORK ON THE PETITION! 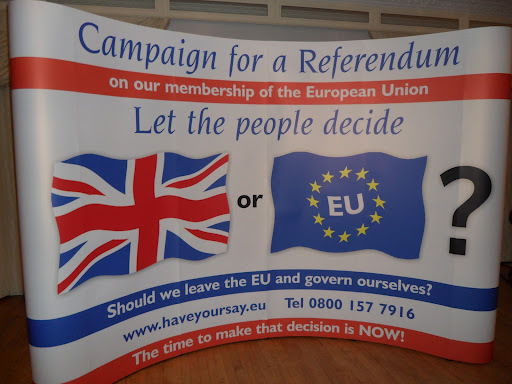 Working WITH The EU Referendum Campaign! While Nikki Sinclaire was on her RAF course her team were busy in Telford with THE PETITION battle bus. THE PETITION TEAM have reported back that it was another extremely good day with people queueing up to sign the petition. 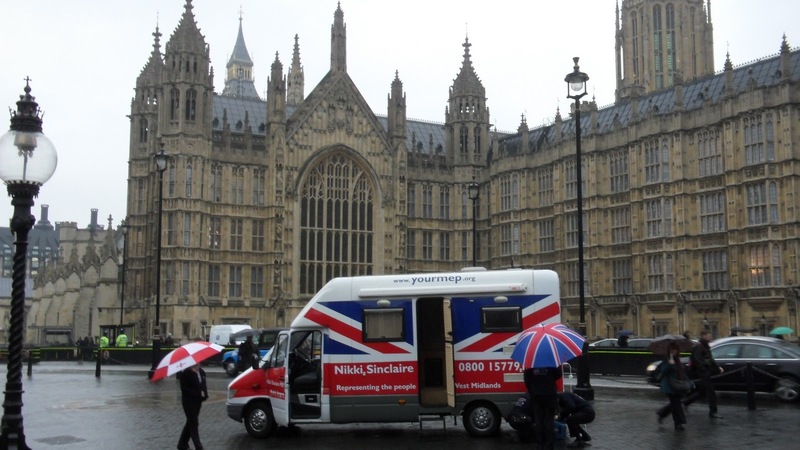 Not only is the team on the road several days a week with all the publicity that offers as the Battle Bus travels around its destinations but to promote THE PETITION Sinclaire is conducting all her Constituency meetings with the battle bus which is set up as an office inside. I have tried to get a schedule of where you can get to visit or see the battle bus in action but a bit like getting a schedule from James and Bridget – everyone is running around and forward plans prove difficult to obtain. ALWAYS check the >EVENTS< tab at the top of the page – with luck I can get the info. from you as all groups are co-operating in this totally cross party Patriotic venture. Whilst this activity continues out and about the postal operation continues with requests for more Petition forms flooding in from around Britain and completed sheets arriving daily and being collated in the offices. To launch THE PETITION from the start with registration and design, campaign timings and plans – all drawn up since Easter the whole operation has been personally funded by Nikki Sinclaire from her own salary and legitimate use of allowances – the EU bans MEPs using expenses for political gain so ensuring with The EU that she has stayed within the rules has been time consuming. Reading between the lines we understand it was this attention to detail that led OLAF to accept her application for assistance when she was attacked in The Sunday Times by a collection of very unconvincing ‘allegedlies’, much to UKIP’s shame! We understand the plotters used were likely to have put in place mutually supportive denials, but reliable contacts understand that the entries to ‘spuriously’ indicate the fraudulent claim of one trip to Strasburg were seemingly made by John Ison, who had subsequently been removed from ANY cash handling and shortly after been ‘let go’ with some relief no doubt. We understand Sinclaire’s OFFICE credit card was used. Any chance of dishonest abuse of this nature has been closed and reflects the dangers of TRUST in Political circles where people seem all too willing to abuse their positions for the size of the bribes handed out on The Gravy Train. It seems some slime in UKIP Press Office approached The Sunday Times and sold the story with embelishments. UKIP has almost without exception employed the dregs of society in their Press Office such as the benefit fraudster, the dishonourable and dishonest Mark Croucher, Lithgo (sp. ? ), Jones, the foul mouthed Fuller and now the liar and cheat the Ghastly Gawain Towler – which in the end has repeatedly brought NOTHING but shame on the Farage Party and the style of leadership that is based on one man’s self serving bullying, corruption and dishonesty. That is now history and the investigators will bring charges if they deem it appropriate. 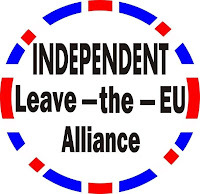 Until OLAF bring those who acted so despicably to book and ensure Sinclaire’s name is cleared of this grubby and so typical UKIP smear, let us try to ignore them as the irrelevance they are becoming and all put our shoulder to THE PETITION WHEEL. Clearly it is time for all of us to put our shoulder to THE PETITION WHEEL this Patriotic, cross party initiative should not be left to rest on the shoulders of just one Duty Bound individual of principle – we all have our part to play. If you can afford to make a donation to help take the initiative forward PLEASE read the inside back cover of the Campaign for A Referendum magazine or the last but one page in the .pdf which can be read by a Click on the Pic. on the right sidebar. Perhaps YOU can afford to repay YOUR Country by contributing just £5,000 to match Sinclaire’s 50,000 magazines – lets have enough donations to get a magazine to every voter! At the moment between 20 & 30,000 magazines are going out in the post to get this Patriotic message to the peoples of Britain – without YOUR help progress will stall! IF you can not afford to donate then PLEASE contribute some time – Download a copy of THE PETITION form on the back/last page of the magazine and makes as many copies as YOU can afford and get your friends and neighbours to help you to complete as many sheets of signatures as possible & mail them in to the office. Something for everybody who believes in Britain to do. this is what UKIP members and voters elected you to do – not sound bite gesture politics, squabbling and carousing in expensive restaurants and stuffing your bank account as so many MEPs do. Let us hope there is a great deal of financial support and the energy levels can be maintained by all. I have been asked to thank the FEW who have made donations already. There is enough to consider publishing another 50,000 magazines with the contributions to date.